Bystander CPR: If Oregon Governor Can Do It, Can You? When Oregon Gov. John Kitzhaber jumped out of a car to perform CPR on a woman collapsed on the street Monday, he was offering a powerful model of what any ordinary person should do, doctors say. Willingness to do bystander CPR — cardiopulmonary resuscitation — varies wildly in the U.S., from a low of about 10 percent to a high of about 65 percent of cases, experts say. Depending on where you live, another person’s effort can double or triple the chance of survival, said Dr. Michael Sayre, an emergency medicine physician and spokesman for the American Heart Association. Sure, Kitzhaber is a former emergency doctor who has intervened in several public crises, but Sayre said specialized medical training is not necessary to initiate life-saving CPR. All you need is a pair of hands and the courage to step up. Each year in the US, there are some 360,000 out-of-hospital cardiac arrests, which account for 15 percent of all deaths. On average, bystanders jump in to act in only about a quarter of those cases, Sayre and his colleagues reported in a recent study. CPR is easy to learn and perform, experts say. It depends on checking a patient's airway and performing chest compressions with hands in the center of the chest, hard and fast at a rate of at least 100 pushes per minute. 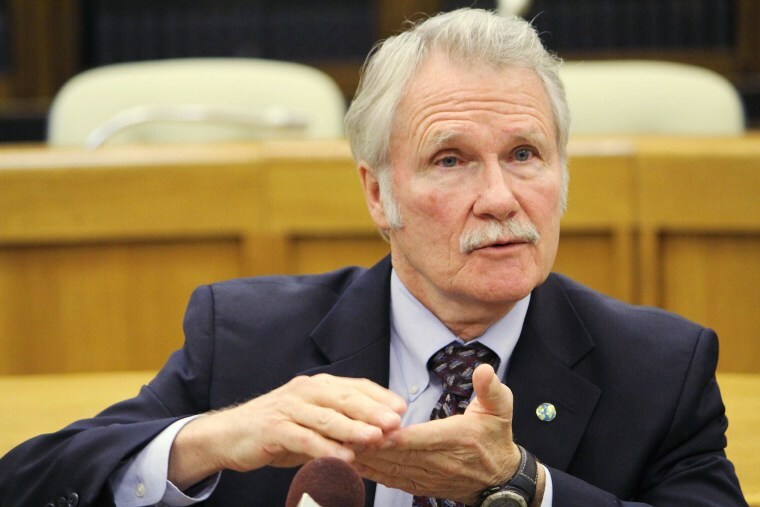 Kitzhaber was riding in a car on a Portland highway about 5:15 p.m. Monday when noticed a man trying to give CPR to a woman near the roadway, spokeswoman Nkenge Harmon Johnson told NBC News. At the same time, Kitzhaber directed his staff to call paramedics, who arrived shortly after and took over. The woman, who has not been identified, was taken to a local hospital where she was reportedly recovering, Harmon Johnson said.